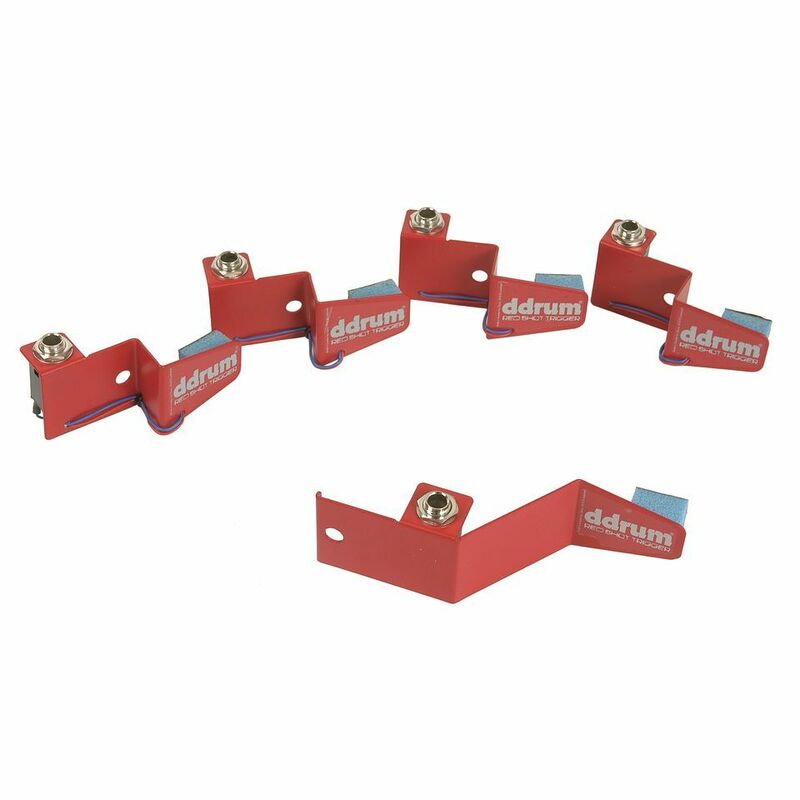 The ddrum Red Shot Acoustic Drum Trigger Set is the low cost alternative in the ddrum trigger series. These affordable, yet sturdy triggers are mounted onto the hoop with a standard tension rod. The Red Shot trigger features the same type of sensor as the ddrum Acoustic Pro Trigger but has a stripped-down mechanical construction. This pack consists of: 1x kick trigger and 4x tom/snare triggers.